The tiny country of Eritrea ranks as the world’s tenth-harshest persecutor of Christians. Dire economic conditions and government oppression have earned that nation the title, “North Korea of Africa,” and its citizens have been fleeing the country for years. Eritrea’s official religions are Sunni Islam and three government-approved Christian denominations—Catholic, Orthodox, and Lutheran. Independent congregations are illegal, and evangelical Christians—who number slightly more than 100,000—are suffering. In 2017, more than 200 evangelical Christians were arrested—including mothers taken away from their small children. These believers endure barbaric conditions in concentration camps, where they are being housed in crowded metal shipping containers with no ventilation in extreme heat. Fikadu Debesay, a young mother of three, died in August while interned in a desert camp. Some believers have spent more than ten years in the concentration camps. Yet, “God is working mightily; the church is growing,” said an Eritrean church elder. Pray for sustaining grace for our brothers and sisters in Christ in Eritrea who suffer for the Gospel’s sake. Although 82% of the population of Kenya self-identify as Christians, Kenya ranks 18th on the list of countries that are the worst persecutors of Christians. Kenya’s 10-15% Muslim minority is growing and becoming radicalized. 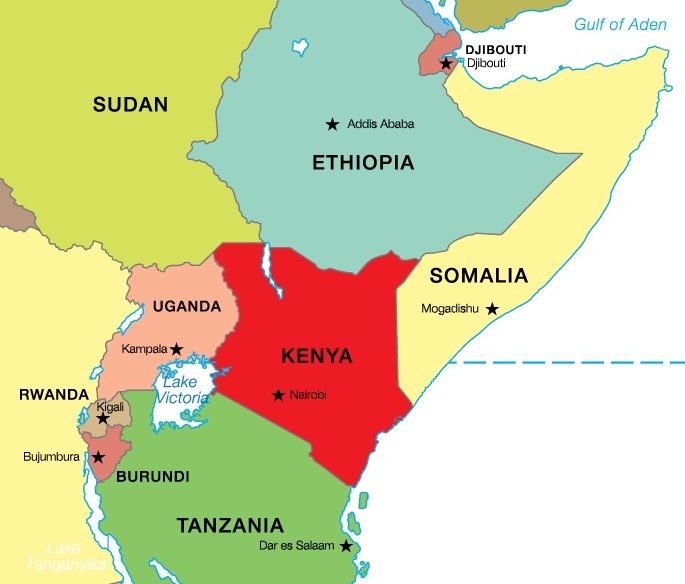 The Al-Qaeda affiliate al-Shabbab, which is based in neighboring Somalia, has been attacking Christians in eastern Kenya. In August, three Kenyan Christians in eastern Lamu County were beheaded when they refused to deny Christ by reciting the Islamic prayer of faith. One of the men was Joseph Kasena, age 42, who was an elder in his church. In July, al-Shabbab militants raided a village and went door-to-door looking for Christians. Seven Christian men—all poor farmers—were brutally killed by the attackers. In 2015, al-Shabbab terrorists killed 148 Christian students at Garrisa University near Kenya’s Somali border, and in 2016, the same group of militants murdered 48 Christians in Lamu County who could not recite Quaranic verses. Please pray for special grace for suffering Kenyan believers and their families who endure torture and death for their faith in Christ. Since last July, Turkey’s President Erdogan has intensified his crackdown against tens of thousands of Turkish citizens—mostly educators, journalists, judges, military personnel, and especially Christians. 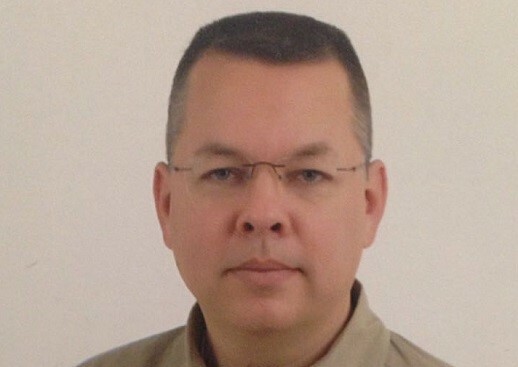 Caught up in the crackdown is Pastor Andrew Brunson (pictured), a 48-year-old American from Black Mountain, North Carolina, who has been a pastor in Turkey for the past 23 years and is currently the pastor of the Izmir Resurrection Church. On October 7, 2016, he and his wife were arrested on vague “national security” grounds. They were held in isolation without formal charges and were not allowed to see a lawyer. Andrew’s wife, Norine, was released two weeks later, but Andrew continues to be detained. On December 9, Andrew was formally brought to court and charged with “membership in an armed terrorist organization.” No evidence was presented except the word of a secret informant, and Andrew was sent to a maximum security prison. Please intercede earnestly for God to give grace and a special sense of His presence to Pastor Andrew in prison and to his family who is working for his release. Somalia has been on the list of nations that severely persecute Christians for more than twenty years. Not only does Somalia rank high for religious persecution, it also ranks as one of the most corrupt nations in the world. Its competing Islamic tribal groups are very robust, imposing harsh sharia law as their ruling code. In spite of Somalia’s claim that it is 100% Muslim, there are approximately one thousand Christians who are seeking to serve Christ underground. The Islamic terrorist group, al-Shabaab, continues to flex its muscles—most recently by killing two Somalian members of Parliament who voted to accept financial support from the West, calling it “an invasion of Christians into Somalia.” Furthermore, al-Shabaab extremists promote the beheading of Christians from village to village in their attempts to remove any vestige of Christianity. Please pray both for the Gospel’s advance in Somalia and also for Christians there to persevere as they follow Jesus in isolation, greatly needing fellowship and discipleship. Saudi Arabia—the birthplace of Islam—is among the top dozen countries that persecute Christians and is the only nation in the world with an official policy that bans all Christian church buildings. The Commission for the Promotion of Virtue and the Prevention of Vice rules the country by the strictest interpretation of Islam, also known as Wahhabism. The Commission has 3,500 religious police who enforce strict Islamic laws on dress codes and dietary rules. These officers have authority to arrest violators and are assisted by thousands of volunteers who provide tips for arrests. Officially, every Saudi citizen is considered a Muslim, and apostasy is punishable by death, often by beheading. The Christians in the country—who number only about 4% of the population—are primarily migrant workers from the Philippines and India who meet in underground churches. In addition to forbidding public expression of any other religion, the religious police raid house churches. Recently, a house church was raided, and 28 people were arrested, including women and children. Please pray for sufficient grace for believers who follow Christ at great risk in this Muslim nation. The tiny country of Eritrea broke away from Ethiopia in 1993. Now known as the “North Korea of Africa” and listed in the top ten of the harshest persecutors of Christians, Eritrea’s predominant religion is Sunni Islam. However, the primary agent of persecution has been the Marxist president, who claims to be an Orthodox Christian and who has ruled over the country with an iron fist for over twenty years. Dire economic conditions and government oppression are so bad that Eritrean citizens have been fleeing the country for years. The suffering for evangelical Christians—who number only about 128,000—has been horrific. It is estimated that somewhere between 1,000 and 3,000 evangelical Christians are in concentration camps, where they are tortured and housed in crowded metal shipping containers with no ventilation in spite of the extreme heat. Some believers have spent more than ten years in such camps! Yet, an Eritrean church elder recently said, “God is working mightily; the church is growing.” Pray for sustaining grace for our brothers and sisters in Christ in Eritrea who suffer for the Gospel’s sake. As Christians around the world prepare to celebrate Christ’s resurrection this Sunday, believers in Nigeria have experienced the fellowship of Christ’s sufferings on an unprecedented scale. The Islamic terrorist group, Boko Haram, has dramatically escalated attacks on Christians during Holy Week. On Palm Sunday they massacred 71 believers and wounded 130 in the capital city, and 8 teachers have been murdered this week. Also, this past Monday night insurgents kidnapped 243 girls from an all-girls school, and only about 100 have been recovered. As we celebrate the joy of our risen Savior, please remember to pray for grace, comfort and deliverance for brothers and sisters in Nigeria during this time of great need.